Have you ever thought about doing old looking paper for fancy handouts or for kids’ scavenger hunts, for example, but felt like its too much work? Me too! Just sometime ago I was in this situation when my kids were asking for me to make old looking paper for their treasure maps. At first I thought that it’s going to be too much work and make a mess, but then I put these thoughts aside and decided to give it a try. I took a few photos of the process to share it with you all and prove that it’s actually pretty quick and easy to do. 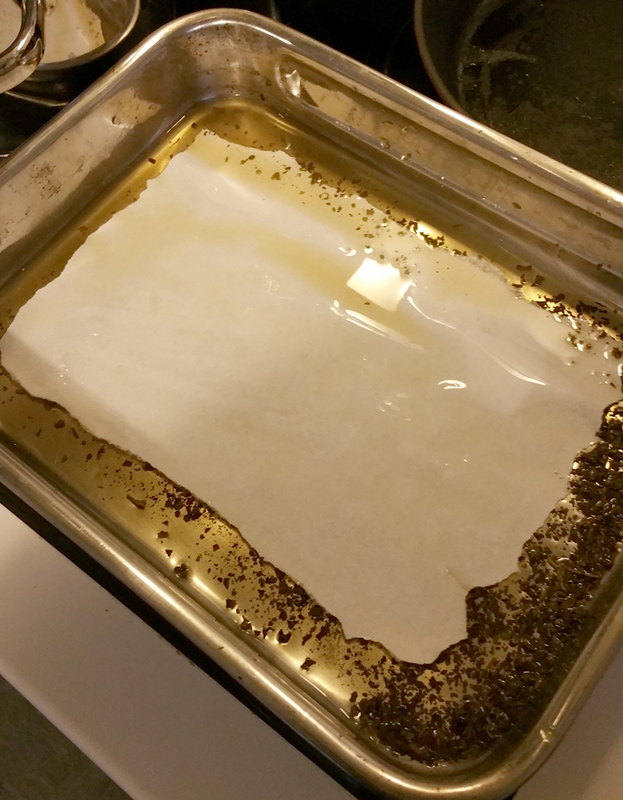 We were about to make food just before I did the faux-parchment, so making a few sheets of old looking paper took perhaps 20 minutes. Half an hour tops. Tear the paper edges to make it look old and worn. You can also wrinkle the paper to add more wear and texture to it. Just be careful not to tear the paper too much at this phase. If you are using the oven, turn it on. I put the oven to 150 C/ 300F degrees myself, and it seemed like a good temperature for this. It’s time to make the secret solution into a deep vessel like an oven casserole. Boil some water and pour it into the container. Add some loose tea and/or coffee into the hot water. I used both green tea and coffee. Let it brew for a minute or two and mix it a bit. Dip the paper into the solution, so that it’s completely soaked in the liquid. Make sure both sides of the paper are wet with the solution. 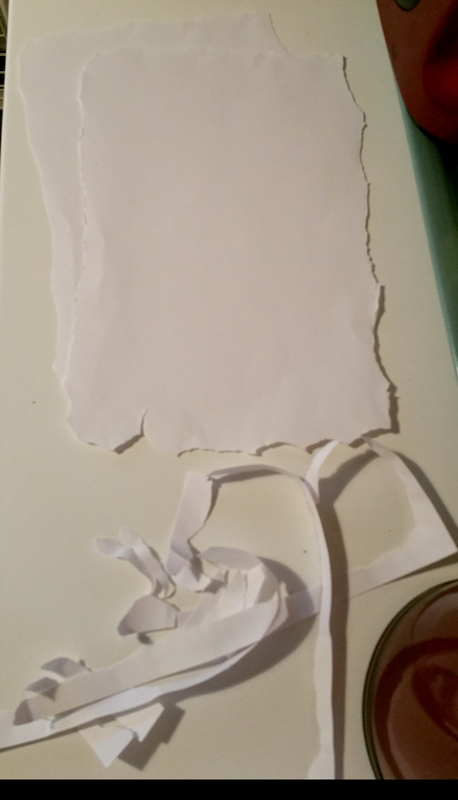 Important: don’t soak the paper for too long as it gets fragile and tears very easily in the next step. 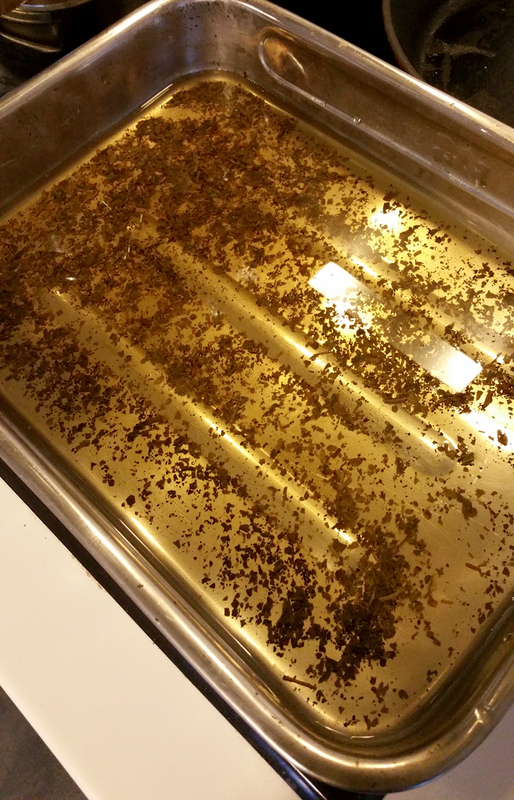 Place the soaked papers on an baking tray. 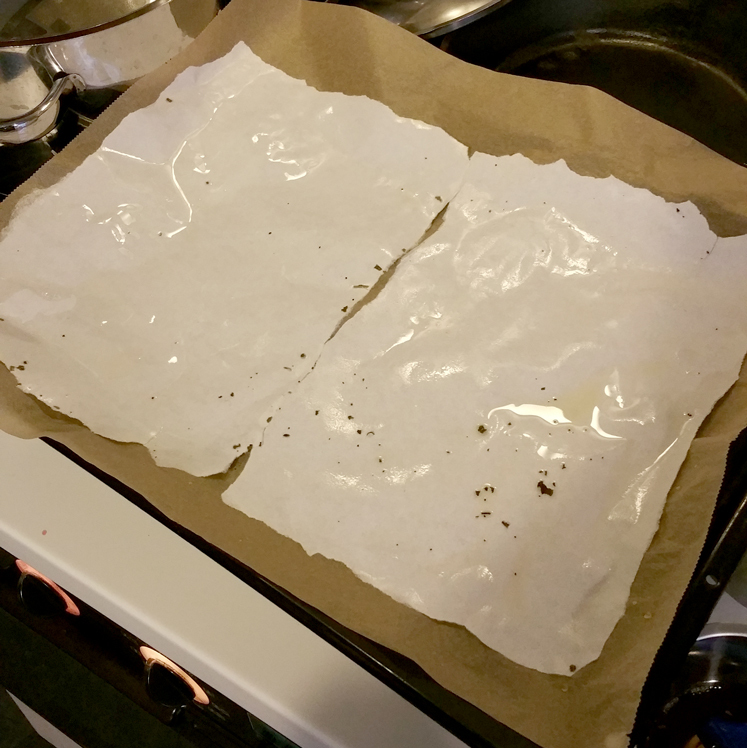 I used greaseproof paper to avoid sticking and to keep the papers clean. Be careful not to tear the papers when lifting them from the solution! It’s also a good idea to drip the excess liquid from the paper, so it dries faster. If you are using an oven, put it in an over for about 5 minutes. If that’s not enough, give it a few more minutes. Step 5: Get Your Pencils Ready! Done! 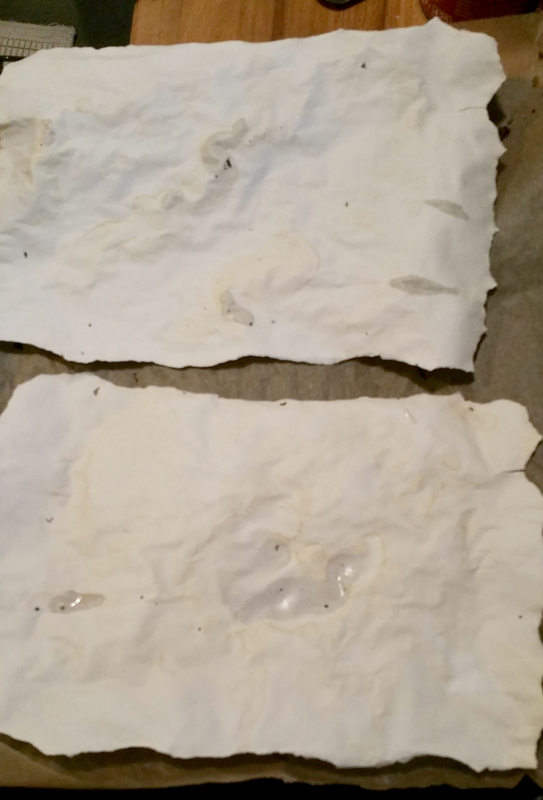 The paper should be dry after five or so minutes in the oven. If they have a few wet spots, don’t worry. Just leave them to dry for awhile. When the papers have dried, they are ready for further use. You can draw or write on the paper before the treatment, but be careful not to mess the drawings or writings. Pencils are ok, but if you have used ink, for example, it’s probably going to smear the paper when it gets wet. So, I would recommend drawing or writing on the paper after the treatment to avoid spoiling your work in the process.